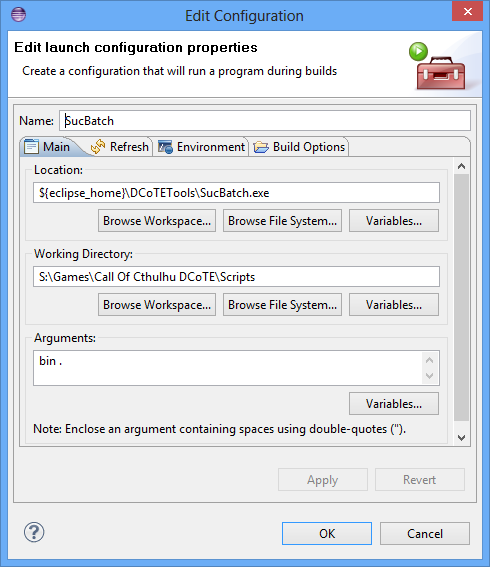 Took the time out to integrate the tools into an eclipse IDE which makes working with script changes much easier with automatic compiling on save and rebuilding the .bat files on a manual build. 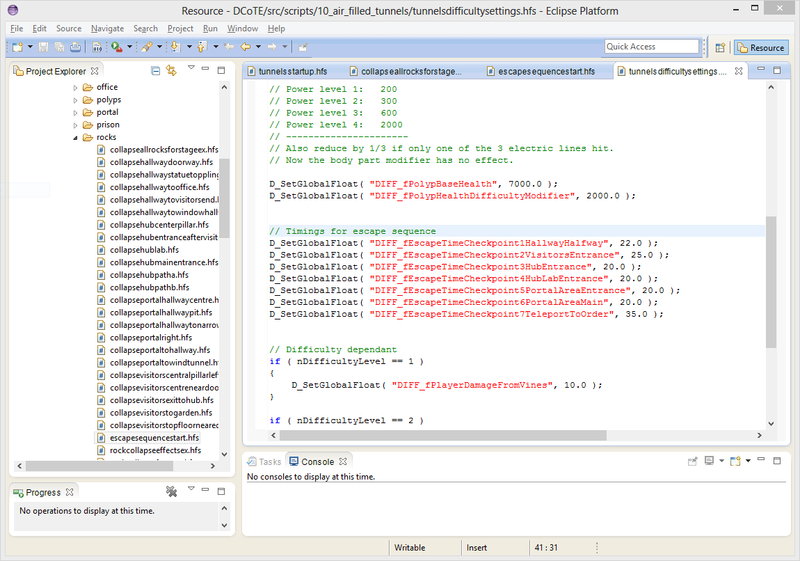 Shown below is the timings settings for the tunnel escape sequence that I'm looking at now. I'm using the Emonic plug-in for basic syntax highlighting as the scripts are similar to c#. 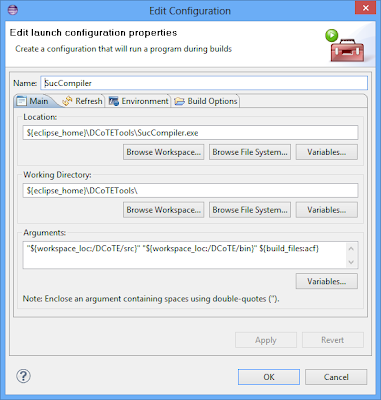 Here is the SucCompiler builder I'm using to compile changes on save. 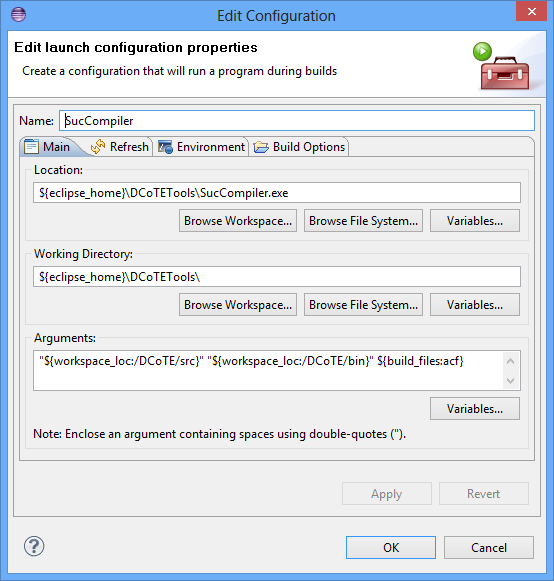 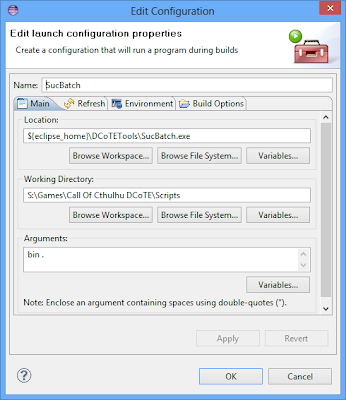 And the SucBatch builder I use on manual build to rebuild the .bat files ready for testing.